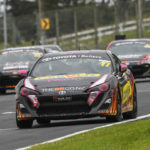 Fifteen year old Callum Hedge took his first round win in the Toyota 86 Championship season with an outstanding victory in one of the best races ever seen in the category at Pukekohe Park. 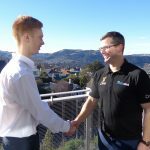 For much of the final fifteen lap race on the iconic, original Pukekohe layout a leading pack consisting of Hedge, CareVets team mate Arran Crighton, Saturday.. 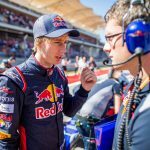 The announcement that Kiwi racing driver Brendon Hartley will race for Formula 1 team Scuderia Toro Rosso in America next weekend is a yet another major milestone in Hartley’s stellar career and for New Zealand motorsport as a whole. Hartley’s debut F1 race, the United States Grand Prix at the Circuit of the Americas (COTA) in Texas on 22 October,..
Nineteen-year-old race driver Jordan Baldwin has topped the points-table following the intensive week-long camp in Dunedin which commences the New Zealand Elite Motorsport Academy programme for 2017. Baldwin, from Howick, Auckland, is one of eight young motorsport competitors selected to participate in the year-long training and coaching programme designed to provide the competitors with an array of skills and knowledge..
Kiwis Earl Bamber and Brendon Hartley, with German team-mate Timo Bernhard, staged an incredible comeback to win the 2017 Le Mans 24 Hours. 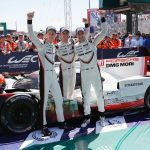 The drivers and Porsche crew never gave up even though the number two Porsche 919 LMP1 Hybrid was, at one point, 19 laps off the lead and second to last in the standings, and then won the..